PERFECT PEARL SPRAY 50ml/1.7fl oz - Town Talk Polish Co. Ltd. This product is so easy to use and a little goes a long way! Our unique formula is perfectly balanced to the PH of pearls and will gently remove surface impurities that can be so damaging to a pearl’s natural lustre. Simply spray the liquid onto your pearl jewellery, taking care not to wet the string if you’re cleaning a necklace. Then polish the pearl gently with the soft microfibre cloth provided. That’s it! 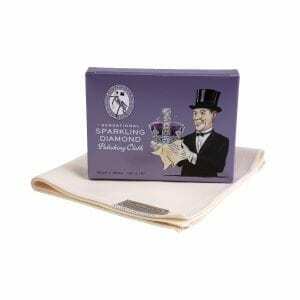 This spray is ideal for cleaning mother of pearl trinkets and costume jewellery too. The best thing in the world for preserving the gleam in your pearls is the natural oil in your skin – so wear them as often as possible!